If you are managing obese patients in your facility, you face the challenges of ensuring the comfort of the resident while, at the same time, protecting the staff against handling-related injuries. Meeting these challenges require the use of specialized equipment – bariatric equipment – designed to meet the size and weight requirements of the obese resident. 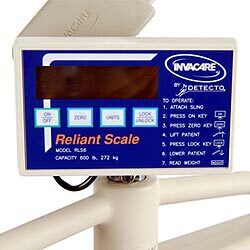 In order to address the patient and staff issues, multiple pieces of equipment – a solution – has to be employed in the care of the obese patient. As in most other things, one size does not fit all in the care of the obese. MedSTAR Medical offers a number of solutions tailored to the size and weight requirements of the resident. 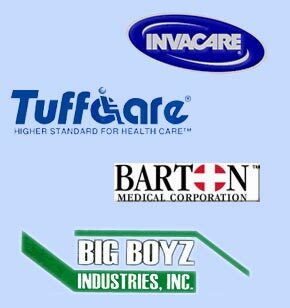 Click on a Selection Below for Further Information on Bariatric Care. Invacare BAR600 – a heavy-duty bed frame that is designed for bariatric individuals and is capable of supporting up to 600 pounds. 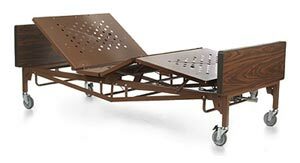 Extra bracing has been integrated into the home care bed frame, along with a wider surface and truss assembly, in order to provide maximum support. 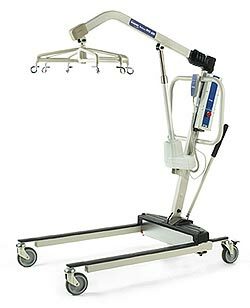 The client or caregiver is able to operate the bed using the hand pendant, which changes the positioning of the head and foot sections as well as the bed-height function. And, even though this is a substantial bed, setup within the home is easy. 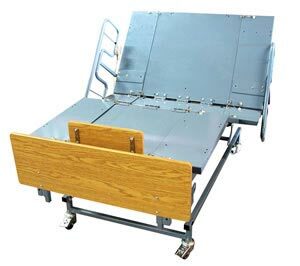 Big Boyz QP600 – a bariatric bed rated to 600 lbs that converts from 38” by 80” to 48” by 80”. In the low position the bed stands at 15.5 inches; at the high position, it stands at 24.5 inches. 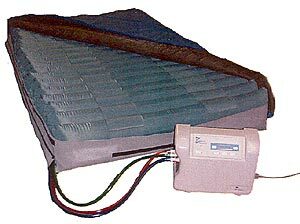 Bariatric Low Air Loss Patriot - Lightweight and compact. Easy to store and transport. 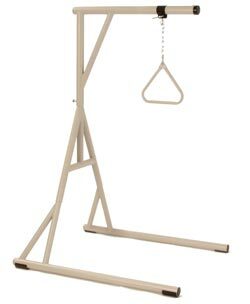 Invacare's Bariatric Trapeze - designed to assist individuals weighing up to 600 pounds in changing positions while in bed and aid in transfering in and out of bed. In addition to providing maximum support and comfort, this innovative, lightweight, tool-free design makes delivery and assembly simple. Invacare Reliant 600 Lift - Designed to meet the special needs of your patients weighing up to 600 lbs., the Invacare Reliant 600 is a secure and sturdy lift. Extra wide coated swivel bar with 360 degree rotation and six-point hook-up. Wheelchair Model 397 - This super heavy duty Tuffy Super Extra Wide 397 wheelchair is specially engineered for larger individuals who seek super extra heavy duty support and maximum durability. With high strength construction and extra reinforcement, it supports patient weights up to 650 lbs. 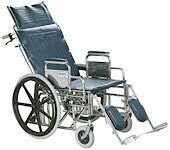 Wheelchair Model 497 - The Tuffy Extra Wide Recliner 497 offers both maximum durability and comfort for larger individuals who seek long-term rehabilitation. It has a reinforced alloy steel construction to support patient weights up to 420lbs. With its heavy duty hydraulic assist reclining mechanism, lifting patients from a reclining position has never been easier.